You stand over your final putt, sizing it up when a glint of colour catches your eye. Lifting your gaze, you see the azure waters of the Red Sea stretch out before you to distant mountains now tinged with pink from the setting sun. Directly behind you, the hunched shoulders of the Sinai Mountains have turned crimson, while all around the pastel shades of the stylish resort hotels are dissolving into a kaleidoscope of colour in the failing light levels. 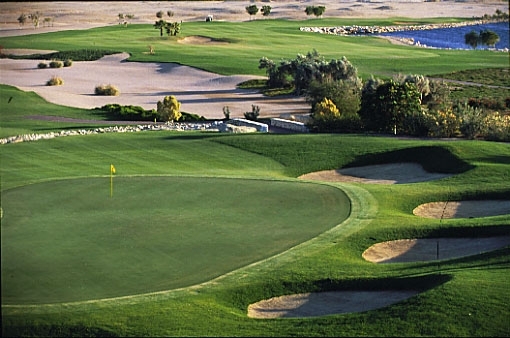 This is Taba Heights, one of Egypt’s newest courses which has already carved out quite a name for itself, thanks in part to its dramatic setting at the top of the Gulf of Aqaba, looking across the Red Sea to Saudi Arabia, Jordan and Israel. It feels more like golf in paradise. The John Sanford Design, which fully opened in 2007, is the central core of the new resort. With five tee positions to suit all ability levels, it offers lots of target golf for shotmakers. Approach shots to greens, some heavily defended, have to be fired over water, bunkers, desert waste areas and flood canals. Holes clamber up a slope towards the mountains before dropping back to the sea, the 17th green and 18th tee nestling close to the water’s edge. Because of the elevation changes, walking is not allowed. 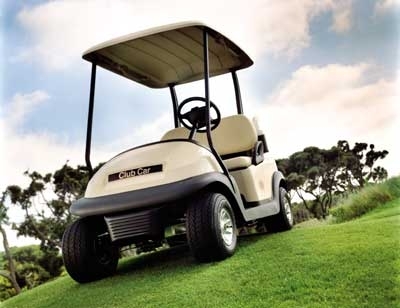 Buggies are mandatory and are included in the green fee. The hardest hole on the course, the 620-yard, par-5 14th, is also its longest – and one of the longest in Egypt. Developed by Orascom Hotels & Development, the same company behind El Gouna, Taba Heights’ five upscale hotels display similar off-beat, contemporary architectural styling as those of its sister resort El Gouna. They offer a wide range of leisure and recreation facilities including spas, and the resort also has a 5km beach and a marina, resort-wide transportation, dine-around, 5-star water sports and diving centre. 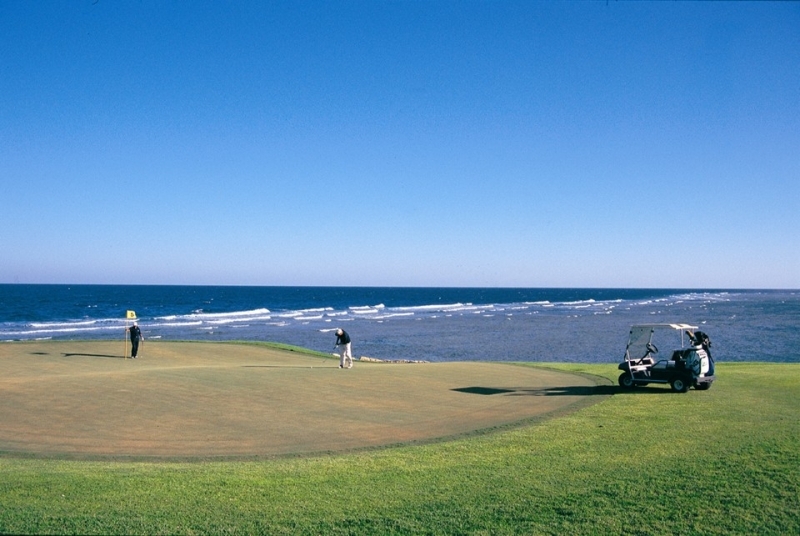 Barely a decade ago, The Maritim Jolie Ville course opened on the outskirts of Sharm el-Sheikh to become the first golf facility on Egypt’s Red Sea Riviera. It has since been followed by a host of other courses with more in the pipeline. In its 10 years the Maritim Jolie Ville has made its presence felt internationally. 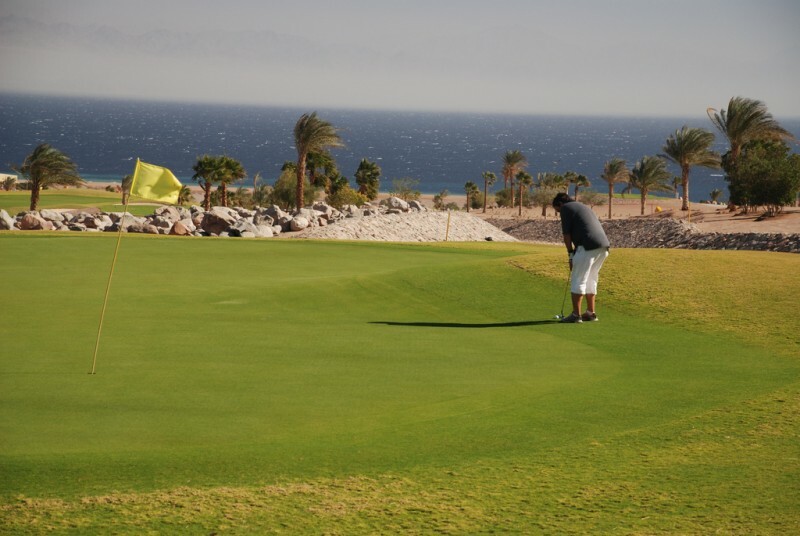 It hosted a European Challenge Toursanctioned event, the Al Ahram-Maritim Jolie Ville Sharm el- Sheikh Challenge, in 2004 and followed it up the next year by hosting the Maritim Jolie Ville Sharm el-Sheikh Seniors Open under the auspices of the European Seniors Tour. That they should have chosen this location at the southern tip of the Sinai Peninsula is easily understood when you venture out onto the 6,587-yard course. The rugged Sinai Mountains provide a memorable backdrop, especially when they turn rose-pink from late afternoon on. 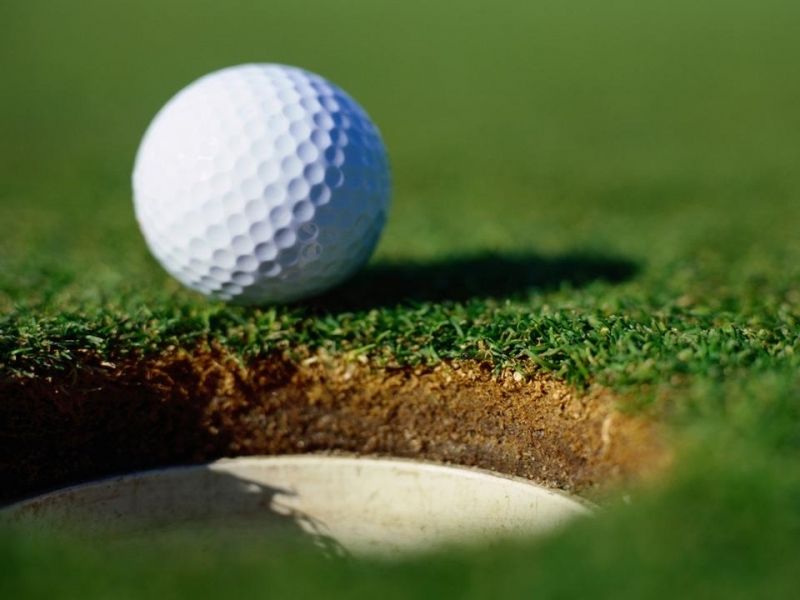 Indeed, the natural assets of the course make as much of an impression on you as the layout. Hardly surprising, given that some 5,000 trees and shrubs were planted and 18 man-made lakes, 16 of them salt water, were created. The greenery is maturing nicely now and, together with the abundant water, the vegetation has helped to attract many birds. Of 15 migrating bird species now found on the course, nine are listed as endangered. The Maritim Jolie Ville accommodates golfers from beginner to pro, and features four tee positions for players to choose from. The water hazards come into play on a number of the holes, including on the most challenging hole, the dogleg par-4 12th, where a lake guards the green for the approach shot into the prevailing wind. But the course is a delight to play and never an unfair challenge. For golfers with young families, the adjacent five-star Maritim Jolie Ville offers leisure facilities including Egypt’s biggest water theme park. Sharm el-Sheikh was Egypt’s first diving resort and continues to be popular for its clear waters and coral-festooned reefs. Key attractions include the world-famous Ras Mohammed National Park, off the Sinai Peninsula tip, and nearby Nabq National Park – rated among the world’s best by Jacques Cousteau. Boat excursions to more distant reefs and wrecks are also popular. Taba Heights also offers excellent diving and snorkelling, notably at Pharaoh’s Island. The Red Sea is now a major centre for windsurfing and kite surfing because of the strong and reliable off-shore sea breezes. Excursions to historic St Catherine’s Monastery and Mount Sinai operate from both Taba Heights and Sharm el-Sheikh. A favourite option is to climb at night to witness dawn from the top of the mountain, where Moses was given the Ten Commandments, then descend to visit the monastery, built in the 6th century around a chapel housing the biblical Burning Bush. Among natural attractions is the mountainous Abu Galum natural reserve, between Taba and Sharm, where wildlife includes Nubian ibex, hyrax and striped hyena. Other natural wonders in the Sinai include the brightly-hued sandstone formations of the Coloured Canyon, the White Canyon and several oases. From its days as a haunt for holidaying divers on a budget, Sharm el-Sheikh has blossomed into a chic destination with lots of shopping. The most stylish place to shop is Na’ama Bay’s shopping mall, which has stores specialising in items including silk and Egyptian cotton clothing, gold and silver jewellery and onyx. Try the Sharm el-Sheikh Old Market (actually a new market in Old Sharm), where you can buy everything from local handcrafts such as handmade rugs to perfumes, herbs and spices. The Sinai is home to many Bedouin people, and visits to their camps where you can take tea or coffee or enjoy a meal under the stars are among the most popular trips available from Sharm el-Sheikh and Taba Heights. Excursions and longer tours lasting several days can also be undertaken which include visits to Bedouin settlements for camel treks or hikes through scenic canyons. Overnight accommodation is in Bedouin tents. For more thrills, go on a dunebashing trip in a four-wheeled-drive vehicle or take the controls of a quad bike to race across the Sinai’s desert dunes.